If you want some furniture for your office, studio or small living room or simply just an addition to your living room, Willis 1-seater sofa is one of the best choices. It does not take much space in the room and perfectly fits which is very suitable for office cabins, studios, etc. 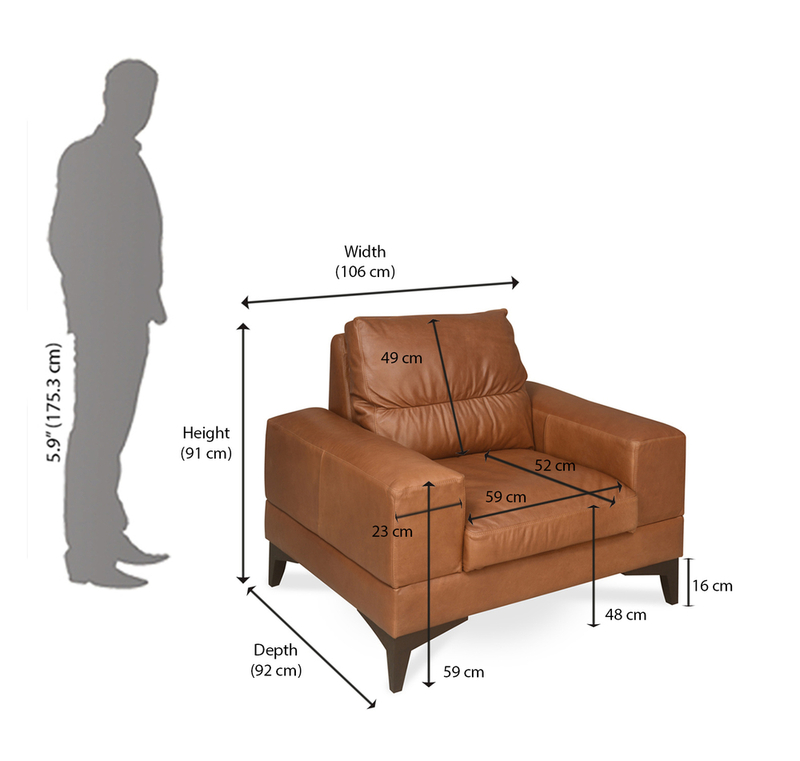 The seating height of 480mm is very comfortable. The framework is sturdy and strong as it is made up of solid wood. The seat is comfortable because it is made up of 2” webbing and recron while the back provides relaxation because of Zik Zag spring used for its construction. It gives a luxurious look as the upholstery is done with leather. The tan brown color of the sofa helps it to amalgamate with the decor and intensify the standard of your room. Buy this beautiful sofa from @home at affordable prices. @home is one of the best online stores for good quality furniture and other home utility products. The quality of the products available on @home is reliable and durable as the products are pre-checked. @home also provides customer support staff which answers all your queries and helps you through the purchase. They deliver the products at your doorstep right on time. So, what are you waiting for? order this sofa now before the stock runs out.